Traditional divorce litigation can be costly, time-consuming, and emotionally damaging due to its adversarial nature. However, there are other alternatives available. Collaborative divorce involves the parties working together to reach a mutually satisfying compromise that everyone can live with. Articulate your goals: You and your spouse will work together to find out what you hope the divorce will accomplish. Gather information: Take a look at your assets and how you feel might be the best way to divide your property. Explore your options: You and your spouse can work on brainstorming your options for property division and child custody/visitation if children are involved. Review all child-related issues with attorneys and coaches. Create an agreement: With the help of your attorneys, you and your spouse will be able to create a mutually beneficial, legally binding divorce agreement. At the law firm of Bush & Heise, Attorneys at Law, our lawyers will work alongside you every step of the way with compassion and sensitivity. We can hire experts in areas of finance, child specialists, and mental health coaches. Collaborative divorce allows you to create the agenda with none of the surprises that may arise through traditional divorce. The process is cost-efficient and generally requires only one visit to court to finalize the divorce. 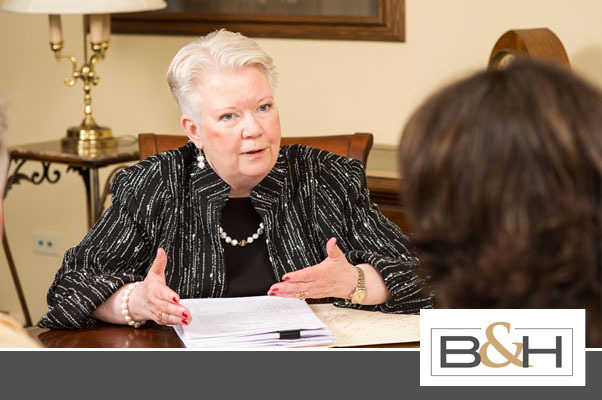 With over 40 years of experience, Anna Markley Bush has handled divorce cases with care and compassion for a number of clients. In addition to being trained in collaborative law, she is also at the forefront of this growing movement as a founding member of the Collaborative Law Institute of Illinois. At Bush & Heise, our legal team brings a collaborative philosophy to the process of divorce. We work to establish agreements that address the current and future issues for the parties. We focus on maintaining relationships and eliminating the emotional and financial damage often associated with traditional divorce proceedings. Our firm works with clients to minimize the negative impact divorce has on families, and to provide practical solutions to complex legal issues. Beginning with your free initial consultation, we will work to identify issues and generate short and long-term solutions to your legal concerns. Our family law attorneys can help establish a team to handle your case. We have a number of collaboratively trained non-legal professionals and experts identified to help you throughout the collaborative process. These non-legal professionals are experienced in fields such as finance and mental health, coaching and child advocacy, and can work toward your best interests. When dealing with complex matters such as marital property division, child support, and prenuptial agreements, collaborative divorce can be a powerful tool. Many cases addressed through collaborative law methods are resolved in half the time and at half the cost of conventional divorce. Clients also enjoy a level of control and decision making unavailable through traditional litigation when determining their future. Traditional divorce proceedings can often take an adversarial turn, placing parties and children in physical and emotional harm’s way. Such a violent schism in a family may deeply affect children and adults for years to come. It is important to know that you do have dignified and respectful choices and options available. Collaborative divorce law is the process by which parties and their counsel agree in writing to make a good faith effort to reach a mutually acceptable resolution without resorting to expensive, painful and time-consuming litigation. If you are interested in learning how the practice of collaborative law may be applied to your situation contact Bush & Heise today to schedule a free initial case evaluation. 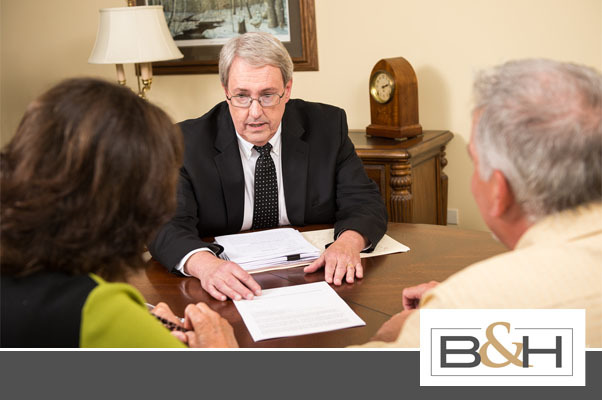 An experienced Barrington collaborative lawyer at our firm is ready to assist you. Find out how collaborative law can make your legal issue less costly. Learn more about working with professionals in the collaborative process. Lawyers at our law firm have the knowledge necessary to handle your situation throughout the entire collaborative law process. We work closely with clients to develop timely and thorough resolutions for complex divorce issues while keeping the ultimate goals and best interests of the client in mind. We allow the parties to set the tone of the proceedings and to help in drafting their own agreements in order to foster a sense of ownership and accountability toward the outcome. Our lawyers find this collaborative approach significantly increases the long-term success rates of divorce and custody settlements. Our lead collaborative attorney, Anna Markley Bush, is one of a growing number of collaboratively trained attorneys in Illinois. She is a founding member of the Collaborative Law Institute of Illinois (CLII) and a member of the International Academy of Collaborative Professionals (IACP).